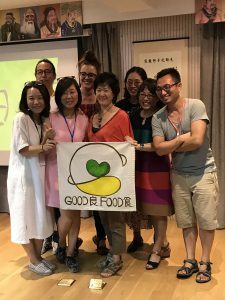 Mia MacDonald and Caroline Wimberly joined our colleagues Jian Yi and Amelie Rousseau, a plant-based chef (and other presenters and mentors), in China to launch the first ever Good Food Hero Summit. Also in Yangzhou, a Jiangsu province, were experts, entrepreneurs, and food activists from around China and Taiwan. Others participated via Skype, including: Jeff Sebo, Clinical Assistant Professor of Environmental Studies and Director of the Animal Studies M.A. Program at New York University; Farhaan Ladhani, the Deputy Director for Direct Diplomacy at the Department of Foreign Affairs Trade and Development Canada; and Erica Meier, the Executive Director of Compassion Over Killing. 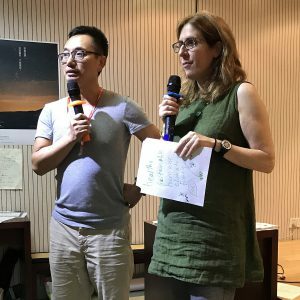 In two three-day sessions, a hundred participants learned about animal ethics, journalism and investigative reporting, food education, and food politics from international experts. Participants shared their ideas and plans with one another and the mentors expanded projects and plans. They took part in workshops on how to engage in creative research, develop effective means of communication, and capture the spirit of entrepreneurship. 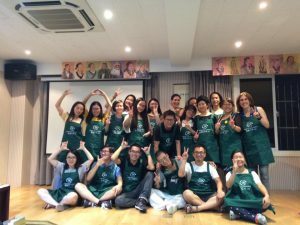 The Good Food Hero Summit is part of Brighter Green’s Good Food initiative—itself a component of Brighter Green’s China Program. 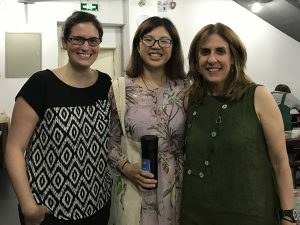 This program exposes citizens to the issues of climate change, food security, animal welfare, and public health raised by the policy paper Skillful Means: China’s Encounter with Factory Farming, and two documentary films: What’s For Dinner? and Six Years On. Brighter Green has also organized a Road Show, in which attendees of workshops learn about plant-based food, much of it grown locally. In addition, we shared details about our Good Food Academy website with participants to help them stay engaged. The website offers research and resources from organizations such as Food & Water Watch, ReFED, Chatham House, Mercy For Animals, Compassion In World Farming, and the World Resources Institute. You can view more photos of the trip here.